I'm not finding where the prices are listed. Do you know if the $99 tickets are for GA? Lower level seats are always more expensive than GA.
Ticketmaster graciously wiped out all the previously posted price info, sorry. Looks like 10am will just be a surprise at this point. Does GA tend to sell out quickly/eventually? I bought one for myself, but I'm sure I'll have a couple unsure friends due to the ticket cost. If I end up going solo I think I'm gonna regret not buying a front row seat on the side that was available. Oh well. Good luck! Have you guys decided yet? I have a few people I'd like to take to see Muse but they don't want to travel. I'm going to be at this show. I live in Florida so we will be driving 5-6 hours. Wish we could fly but we are too cheap. actually I just found out about an hour ago she can't do it. 😞 I am trying to work out DC now instead since I have friends going to that one. I see two different GA ticket types in Ticketmaster website, $63 and $98.99 before fees. Does anyone know the difference between the two options? 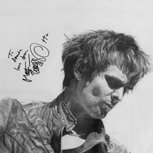 Someone on one of the Muse forums said they lowered the price of GA since it was not selling well and probably did not take down the original price. Pretty sure there is no difference.